Online retailer Amazon remains the target of the rumor mill. Possibilities of new devices and new compatibilities with digital content formats are popular fodder for forums and blog posts. Sometimes Amazon confirms the rumors—or at least drops massive hints—such as its tablet debut. Other times they keep a tight lid on the news, such as in the case of rumors that the Kindle will begin working in the open ePub format. Whenever any news indicates the validity of the rumors, digital watchdogs are quick to pounce. OverDrive has been adamant that Kindle owners will be able to enjoy the perks of the public library ebook lending system in the very near future. Publishers have dropped major hints to GoodEReader.com about the compatibility in the near future. 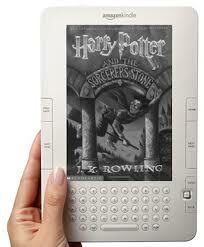 Now, Amazon announced that the Harry Potter ebooks, available only through Pottermore.com beginning in October 2011, will be compatible with Kindle. With the rumors about Kindle compatibility flying from every direction of the digital publishing industry, one thing is sure. The final word will come from Amazon, and not a moment before they are ready to speak.